At MI Disaster Team we provide water damage and basement flooding clean up in Southeast Michigan. When your home has a flooded basement, leaking roof, or plumbing failure, it is imperative you take fast, appropriate action with water damage clean up. MI Disaster Team is your company for water damage remediation providing service throughout Southeast Michigan. Why is Water Damage Remediation Important? When water is not properly extracted, it causes damage to floors, walls, and there is a potential for dangerous mold to begin to grow. Having professional flood and water damage cleanup can prevent unseen damage to the structure of your home. When you call MI Disaster Team, you can count on us to respond swiftly and appropriately with our emergency water damage remediation deployed from Commerce TWP. From the moment we arrive our professionally trained technicians will assess the situation and immediately begin the water extraction, cleanup and drying process. MI Disaster Team is your trusted company for all of your disaster restoration services in Southeast Michigan. Many cities in Michigan are considered in a floodplain and are prone to flooding from melting snow to river and streams overflowing. Southeast Michigan cities in flood plain areas include Novi, Commerce Township, West Bloomfield Township, Ann Arbor, Troy, Dearborn, Farmington Hills and many surrounding areas. The best thing you can do living in floodplain areas is to have a flood safety plan to keep you and your family safe. No one ever wants to face the catastrophe of a flood and the damage that is left behind. When you need water damage cleanup for your home, MI Disaster Team is ready to provide you with professional flood damage services. We specialize in water damage remediation to extract water and restore your home to pre-disaster conditions. If you are in an area that is prone to flash flooding, it is important to take steps to keep you and your family safe. 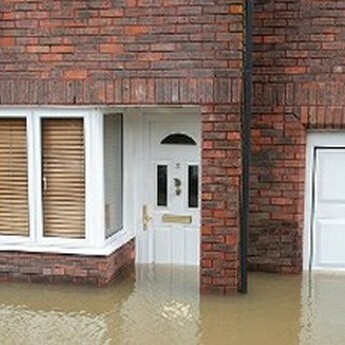 The first step after a flood is to avoid flood water if at all possible. Flood water can be dangerous and cause health issues with sewage, chemicals, or other debris that is not seen. If you experience an Ice Dam that is causing water to run into your home, please call us as soon as possible. We can stop the water and do the appropriate drying and repairs before the damage gets worse. Ice Dams can damage drywall and cause mold which can form a serious health risk for the people living in your home. Living in Michigan, residents deal with basement flooding every year. Basement flooding can come from heavy rain or even sewage pipes. No matter what the water is, it can lead to contamination and mold growth. Standing water or wet basements can cause mildew and mold, in turn, put your health at risk and cause further damage to your walls. At that point, mold remediation in your home will be needed to stop the contamination. At MI Disaster Team, we can handle your entire basement flooding cleanup. No matter if you have water damage from a flood, storm, or sewer backup in your basement; we can provide immediate water extraction and disaster restoration services.